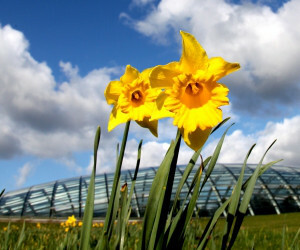 Less than 2 miles from the Emlyn Arms, The National Botanic Garden of Wales is set on historic parkland, dating back around 400 years and opened to the public in May 2000. Visitors can see an amazing collection of over 8000 different plant varieties, spread across 560 acres of beautiful countryside. Home to the world's largest single spanned glasshouse, designed by Lord Foster, a Double Walled garden and a Tropical Glasshouse. FREE ENTRY - if you stay with us for 3 nights or more. Paxton`s Tower was built sometime between 1805 and 1808. It is a triangular building, two storeys high and can be seen from the Emlyn Arms. The tower was built by Sir William Paxton and dedicated to Admiral Nelson, a friend of Paxton, after his death at Trafalgar in 1805. A free to enter attraction that can be combined with a visit to the nearby National Botanic Garden of Wales. Its hilltop location provides a breathtaking view over the Towy valley. 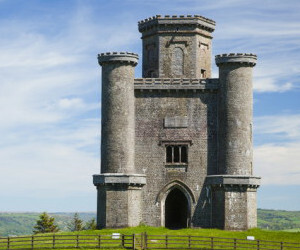 The tower is under the care of the National Trust and is a Grade II listed building. Aberglasney has recently been named by the Royal Horticultural Society as one of the Top Ten Formal Gardens to visit in the UK. The story of Aberglasney spans many centuries, but, the house's origins are still shrouded in obscurity. Run now by a charitable trust, in 2005 a unique garden was created within the ruinous central rooms and courtyard of the mansion. The remaining walls of the rooms were stabilized and the entire area was covered with a huge glass atrium. This area now contains a wonderful collection of sub-tropical plants including Orchids, Palms and Magnolias. Occupying a majestic hilltop location above the Tywi valley and situated equidistant between Carmarthen and Llandeilo. Only fragments of this 13th Century castle on the banks of the River Tywi survive but it's still worth the steep climb up from the car park below as the views are magnificent. The castle was probably built in the 1220s and by the late 13th century had developed into the largest native Welsh castle in South Wales. 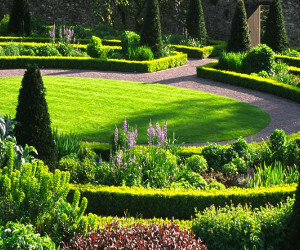 A 12th-century Welsh castle, historic house and 18th-century landscape park, enclosing a medieval deer park. 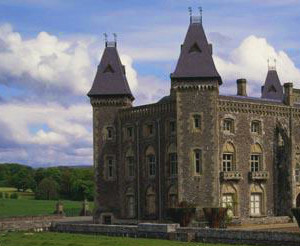 Dinefwr Park and Castle is an iconic place in the history of Wales. Two forts are evidence of a dominant Roman presence. Dinefwr is home to more than one hundred fallow deer and a small herd of Dinefwr White Park Cattle. 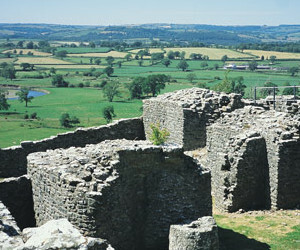 A number of scenic walks are available including access to Dinefwr Castle, with fine views across the Towy Valley. There is also a wooded boardwalk, particularly suitable for families and wheelchair users.